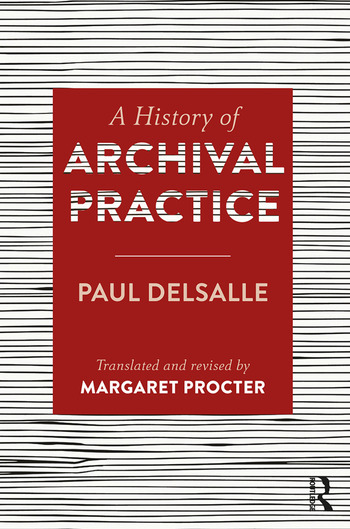 This revised translation of the classic 1998 Une histoire de l’archivistique provides a wide-ranging international survey of developments in archival practices and management, from the ancient world to the present day. The volume has been substantially updated to incorporate recent scholarship and provide additional examples from the English-speaking world. These new additions complement the original text and offer a broad and up-to-date survey, with examples spanning Europe, Africa, Asia and North and South America. The bibliography has also been updated with new material and supplementary English language sources, making it an accessible and up-to-date resource for those working and researching in the field of archives and archival history. This book is an essential reference volume for both archivists and historians, as well as anyone interested in the history of archives. Paul Delsalle is Professor of Modern History at the Université de Franche-Comté, France, specialising in the editing of sixteenth- and seventeenth-century documents. Between 1990 and 1995 he was Lecturer in Archival Studies at the University of Haute-Alsace in Mulhouse, France. Margaret Procter is Senior Lecturer in Record and Archive Studies at the University of Liverpool, UK, and previously worked as a professional archivist. She has worked with the International Council on Archives for over 25 years,most recently as Editor of its multilingual journal Comma.